On October 20, 2014, Billy Louis Nelms Sr., 54, of Los Angeles, California, was sentenced to 51 months in federal prison. Nelms worked as an immigration officer in the Fraud Detection and National Security unit, which is part of the Department of Homeland Security’s U.S. Citizenship and Immigration Services (USCIS). One of his duties involved investigating marriage fraud on applications for an immigration benefit. Nelms was taking bribes from Cambodian immigrants, who were present in the United States without legal status, in exchange for immigration benefits. He managed to defraud not only the government, but also the immigrants who bribed him. Nelms promised them permanent legal status, in exchange for a bribe of $5,000 in cash. Instead, the stamps he used on the immigration documents in question provided their bearers with only a temporary legal status in the United States. Nelms attempted to cover up his crimes by using stamps that belonged to other government officials, or using altered stamp numbers. After learning of a possible criminal investigation, Nelms removed at least 12 files from the immigration office. He sent his wife, Sokhon Nelms, to threaten and intimidate potential witnesses. Once the criminal charges were filed, Nelms tried to cook up another scheme. He wanted American taxpayers to pay for his legal defense. Nelms created a crowdfunding campaign on ‘Go Fund Me’ website, seeking $100,000 in public donations for “emergency” legal fees. 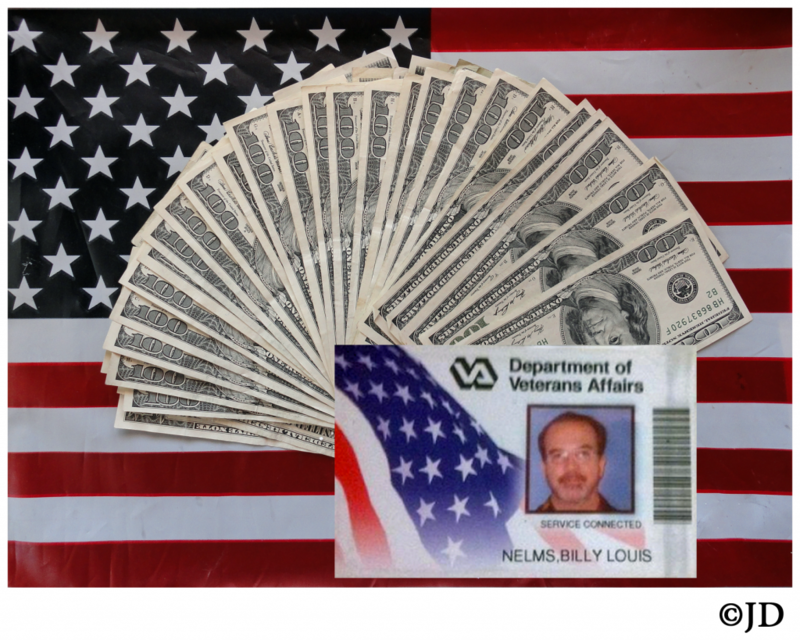 “Helping Billy” campaign claimed that the government filed “a lawsuit” against Nelms (identifying himself as “a proud military veteran”), because he was “fighting racial profiling” by other immigration officials. Some well-meaning contributors fell for slick Billy’s pleas, sending him money through the campaign. Nelms’ wife, Sokhon Nelms, 60, was also found guilty of conspiracy to witness tamper and witness tampering for threatening two witnesses at the behest of her husband. She is scheduled to be sentenced by Judge Guilford on November 6, 2014.